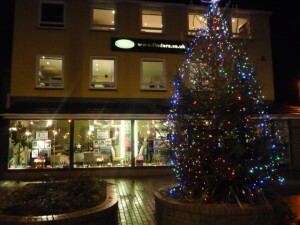 The Summertown Christmas lights will be switched on outside Oxford letting agents Finders Keepers this Friday (3rd December) and the festivities start from 4.30pm. Come and soak up the Christmas atmosphere all along Summertown Parade. There will be Christmas carols being sung at one end of the parade and a band playing at the other end. Join us to watch the Christmas lights being switched on and enjoy some drinks and nibbles kindly provided by shops and cafés nearby.